Richmond Hill, ON., (November 25, 2013) – Since opening in 1994, Richmond Hill Toyota has sold more than 35,000 units, including over 10,000 certified used vehicles, from its current location at 9144 Yonge Street. 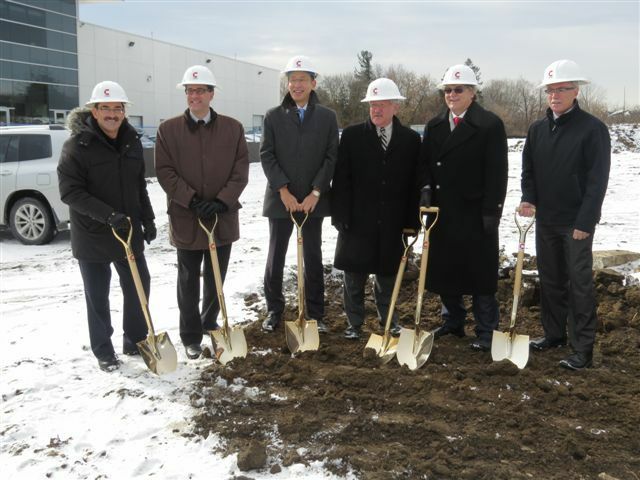 With the dealership about to embark on its third decade serving the local community, an exciting new era is set to begin now that construction has commenced on a brand new state-of-the-art facility at 11240 Yonge Street. The first step was undertaken today when shovels were put into the ground at a special groundbreaking ceremony to kick off construction activity. 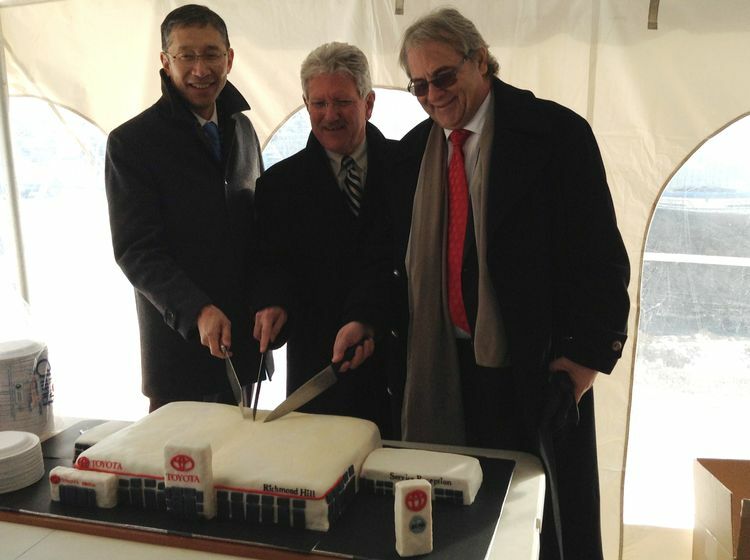 "Richmond Hill Toyota is an important contributor to the local community and economy," said Seiji Ichii, President and CEO of Toyota Canada Inc. "Today builds on 20 years of leadership and business innovation with a state-of-the art home for existing and new Toyota customers." When complete – expected late 2014 – the $25-mllion site will span more than four-and-a-half acres, and feature a state-of-the-art building that achieves Leadership in Energy and Environmental Design (LEED®) Gold Certification. Among the facility’s most distinguishing elements, it will house an interior showroom for pre-owned vehicles in the lower level, directly under the main showroom for new cars. The two showrooms will be connected via an open staircase, with special glass and steel balustrades surrounding the large opening. The site will also be home to a new Scion store, a children’s play area and an expanded retail parts and accessories store. In addition, charging stations for electric vehicles will be provided, and a special water feature has been designed for a high-tech waiting area that will give visitors access to Internet, video and audio feeds. Mr. Kadrie added that what will not change at the new facility is Richmond Hill Toyota’s focus on providing the best service for customers, and commitment to remain active in the local community, including dealership activities such as fundraising for the local hospital.